Ozi, Ozi, Ozi, Oi, Oi, Oi! We’ve ventured Down Under to see if the Australian football supporters are ready to cheer for the Socceroos during the World Cup! Just kidding! In fact, we are working hard speaking at public events, visiting customers and receiving the Platinum Award for Best Assessment Tool at LearnX Asia Pacific (our third year in a row to win this award in the Best-in-Class Technologies category)! We are exhibiting and speaking at LearnX, which takes place this week in Sydney. I’ll be giving a presentation on “How to Measure the Talent you Manage” on Wednesday afternoon and Questionmark CEO Eric Shepherd will present “Assess Where it Matters – Everywhere” on Thursday. So be sure to come see us if you are at LearnX! Stay tuned for my next blog post, as we will be going to New Zealand to meet with our Kiwi users along with members of the New Zealand Association for Training and Development. It is time to pack our suits and hit the road again…This time we are going to India! The first event will be on May 5th at the Taj Residency of Bangalore in the middle of the Indian Silicon Valley. You can register here. 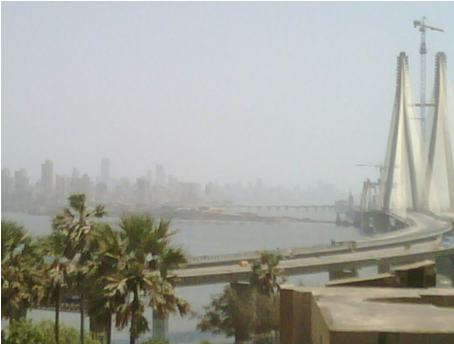 The second event will be on May 7th at the Grand Hyatt in bustling Mumbai. You can register here. This briefing session will show how to create assessments that shed light on a person’s skill and ability as well as their knowledge. We will examine a number of different question types – as well as question writing techniques – that can be used to measure cognitive skills and abilities. 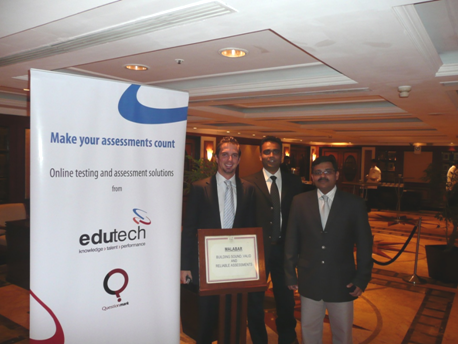 Also, Indian users of Questionmark Perception will explain how they are using our assessment solutions. I am thrilled today as I am en route to Johannesburg for Questionmark’s Annual South African Users Meeting. No time to Watch the World Cup this time around but I’ll hopefully be back in SA in a couple of months! We will be holding our annual South African Users Meeting close to Jo’burg (as locals refer to Johannesburg), in the city of Midrand, on April 20th. I am particularly excited about the meeting this year, as more and more users have completed the upgrade to the latest version of Questionmark Perception. 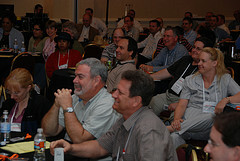 Our South African customers will gather at the meeting to share information and learn from each others’ experiences. Of course, it also will be a wonderful occasion to show the latest developments from Questionmark and to discuss best practices in online assessment management. 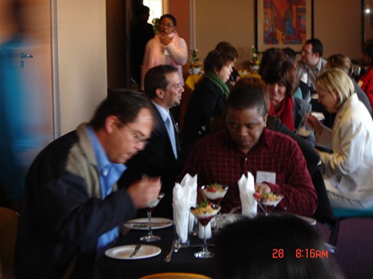 The South African Questionmark users meeting is the best chance to network and learn from other users and speak face-to-face with Questionmark team. 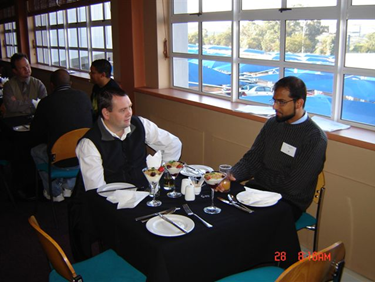 The South African Users Meeting is one of many Questionmark worldwide events. As I write this, Questionmark events are being organized in the UK, The Netherlands, Germany, USA, India, New Zealand and Australia. Look out for a post-Users Meeting blog entry from me! I spoke recently with Lex Lucas, who is the online services manager at the Australian College of Rural and Remote Medicine (ACRRM), a professional organisation for rural and remote medicine education and training. Rural doctors accredited with ACRRM usually live in very remote areas, and completing an assessment in a major city could require spending days away from their practice. The introduction of Questionmark Perception means that assessments can now be taken in the local community, and doctors can stay where they’re needed. Questionmark Live has also been used successfully to track question versions and revisions, strengthening the integrity of the assessment process. ACRRM’s experience is a great example of how online assessment management can help solve unique challenges!